Learn how to beat Rango in Super Mario Odyssey. This guide provides a few strategies that you can use to defeat him during the second battle. Rango is one of the Broodals, the secondary antagonists in Super Mario Odyssey. The Broodals are a group of rabbits who serve as wedding planners for Bowser and Princess Peach’s wedding. He is fought for the second time on the peak of Snowy Mountain in Snow Kingdom. Super Mario Odyssey Rango stands higher than the rest of the Broodals. Similar to the first battle, he remains in his orange suspenders paired with a scarlet ribbon. He is also wearing a wide-brimmed cream-colored hat. When the battle begins, Rango throws his hat in a linear fashion only this time there are two hats. 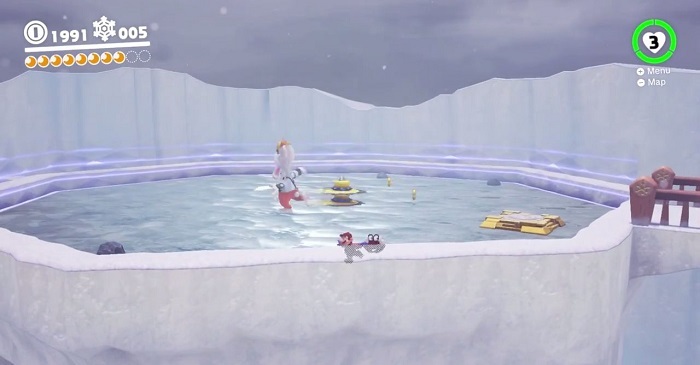 In comparison to the first battle, the ice stage makes it more difficult to escape. However, given that he sends more hats this time, it is easier to topple one over so be sure to deflect one to launch yourself in the air to land a clean hit. After suffering damage, Rango takes cover inside his spinning hat in hopes of striking you. The trick is to continue dashing to avoid taking damage. For the second phase, Rango starts flinging more hats that move clockwise. Hug the right wall and lure the boss. 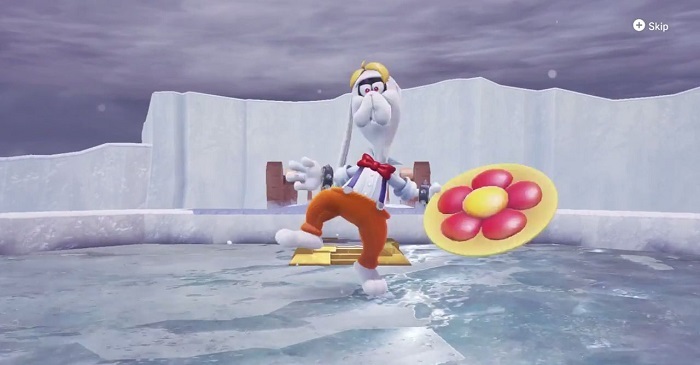 When Mario starts spinning, deploy Cappy quickly and shake the joy con to launch a homing cap throw to disarm one of the hats then strike him from above. As you reach the last phase of this battle, Rango begins to mix up his first and second phase throws. By now you should have a grip on the trajectory so repeat the same way as above when he unleashes them simultaneously. Counter by throwing Cappy on one then stomp on his exposed head for the final time to emerge victorious.